The structure collapsed in bad weather in August, killing 43 people and injuring dozens. "This will last for a 1,000 years and will be built of steel," said Piano in September. Piano, 81, says it can be constructed within 12 months and he has provided the design free of charge to his hometown. He said his design would "have elements of a boat because that is something from Genoa," he explained. ​"We have asked the architect Renzo Piano to oversee the project to ensure that the original idea is respected," the Mayor of Genoa, Marco Bucci, said on Tuesday, December 18. Three Italian construction companies, Salini Impregilo, Fincantieri and Italferr, will share the 202 million euros ($229 million) contract. ​Piano, who designed The Shard in London as well as the Pompidou Centre in Paris and the new Palais de Justice in the French capital. 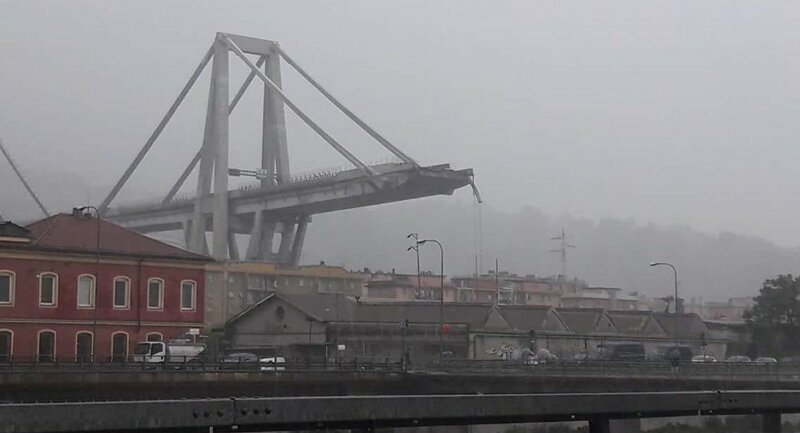 The concrete structure crashed down on a river, two roads and railway tracks in the center of Genoa. The Morandi Bridge — named after its designer, Riccardo Morandi — was part of the A10 autostrada, or motorway, which links Genoa with the French border at Ventimiglia. It crossed the river Polcevera between the suburbs of Campasso and Coronata and also spanned the railway which runs through Genoa. Construction began in 1963 and the bridge opened four years later at the same time as the A10 between Genoa and Savona. Morandi, who died in 1989, also designed a number of other similar bridges which used prestressed concrete, rather than steel cables, to hold them up.